THE SIZING I USE IS AS ACCURATE AS I CAN GET IT AND I WILL ALWAYS STATE IF ITS A NARROW FIT. Leather and soles have loads of life in. Timberland ankle boots worn once good condition. One owner. CONVERTED FROM A USA 8, SIZE TO A UK SIZE 6 THEN UR 39 SIZE LIGHT WEAR NICE SHOE TO HAVE. • 1x Pair of Timberland Stratham Boots. They have marks on the uppers, including scuffs and scratches on the toes and heels. The heel tip itself is still secure so it shouldn’t affect their wear too much. Timberland Boots in great condition; pictures don't do justice. Anti Fatigue and Waterproof. SZ 5 UK.38 EU.7 USA. WORN.BUT IN GOOD, CLEAN CONDITION. 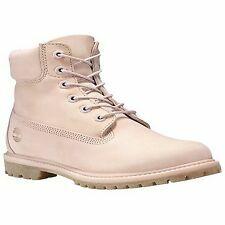 Timberland Womens Ladies Pink Classic Boots Size 3. Condition is Used. Dispatched with eBay delivery – Shutl 2-3 days. 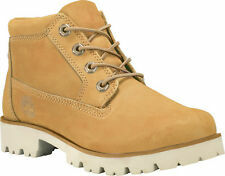 Flattering, Durable, Flat & Comfortable Leather Casual Timberland B oots Size 6. Lovely top. Will order from yourselves again. (Phase Eight Tunic Top). Timberland Women's Grey Suede Chelsea Ankle Boots Size 6. Condition is Used. Dispatched with Royal Mail 2nd Class. .Excellent condition from a non smoking household. Timberland Women's Brown Leather Waterproof Boots Size UK 8. Condition is Used. Dispatched with eBay delivery – Shutl 1 day. womens timberland boots size 7.5, Condition is Used, afew tiny marks but overall in great used condition, please see photos happy bidding. Dispatched with Royal Mail 2nd Class signed for. Genuine Womens Timberland Chelsea Boots Size 5 . Condition is Used. Dispatched with Royal Mail 1st Class. Label says boys size 5 but I have been wearing them (lady size 5) - not sure of the difference between a boys and Ladies, if any. Ladies Waterproof Timberland Boots size 3. Condition is Used. Dispatched with Royal Mail 2nd Class. Bought for £130 worn a couple of times. Collection or delivery. Quick sale needed. Colour ; WHEAT / BEIGE. HERE IS A GREAT PAIR OF ANKLE BOOTS. SIZE ; 7 UK . IN A GOOD, CLEAN, LITTLE USED CONDITION. Timberland Women's Tan Suede Chelsea Ankle Boots Size 6. Condition is Used. Dispatched with Royal Mail 2nd Class. .Excellent condition from a non smoking household. 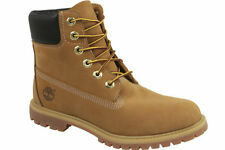 Unisex Timberland Ladies, Teens, Boys Boots Size UK4. Good condition with few scuffs and marks. Really stylish pair of long Timberland country boots. Size 5.5 UK (US 6). Excellent boots for walking the dog, or general country pursuits. IT COULD GET MUDDY ! - DONT SPEND £150 ON A PAIR OF TIMBERLANDS AND RUIN THEM - HAVE THESE INSTEAD ! nobody has to live with anything they don't like ! don't open a dispute case or i will have to defend it ! Women’s size 5 Timberland boots. Well worn as can be seen on pictures but can be cleaned. No damage. Gorgeous Timberland boots in purple patent leather. They are the standard wide fitting boots. In fabulous worn once briefly, condition. There is a small amount of creasing to the toes & a few bobbles inside the boots. TIMBERLAND BOOTS SIZE 4. GOOD CONDITION. D on't forget to lets share a positive. CAN BE RE HEALED FOR NOT TO MUCH MONEY. Junior Timberland Leather Lace Up Ankle Boots UK Size 4.5 (Womens Fit) Worn Once. Condition is excellent as it has only been worn once. Dispatched with Royal Mail 2nd Class. HERE WE HAVE A GREAT PAIR OF TIMBERLAND PATCHWORK BROWN LEATHER / SUEDE RIDING BIKER BOOTS SIZE 7. HAVING A BIG CLEAR OUT - LOW START PRICES - GOOD LUCK ! Timberland 23367 Nellie Waterproof Leather Boots. Lace fastening. Stunning Timberland Leather Boots with fur inside. Colour Mustard brown and multicoloured. Rubber man made sole. Upper man made and lining. 7W is what’s written as a size but the boots can fit a size 5, & 5 1/2 in excellent condition hardly worn. No defects no pulls no stains clean. Calf circumference adjustable to fit your calf with lace. These Timberland boots have been worn bit are still in good condition-lovely comfortable boot which are supportive and stylish. TOP DESIGNER! PM AND 22-00. GOOD LUCK! ITEM STARTS AT JUST 99P WITH NO RESERVE! Timberland Welfleet Wheat Wellington Boots. Condition is Used. Dispatched with Royal Mail 2nd Class. Timberland Ladies/ Girls Black Leather And Suede Boots Size 4. Condition is Used. Dispatched with Royal Mail 2nd Class. Great mid calf length - looks good with jeans and dresses. Buckles on the sides for a biker look and hidden zips down the side to save time with the laces! The upper is a nubuck leather. Leather heel bed insole. 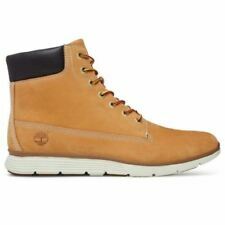 Timberland nubuck leather high top casual boots. 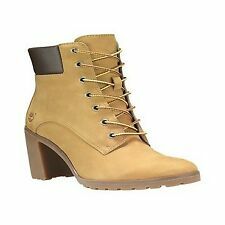 Genuine Timberland Boot Women Size 7 UK Tan Waterproof Authentic Lace Up. Condition is Used but in great condition . Dispatched with Royal Mail 2nd Class. A PAIR OF LADIES BROWN LEATHER TIMBERLAND BOOTS SIZE 6.5. They are super comfortable, the heel isn't too high, but high enough to look like a decent heel! 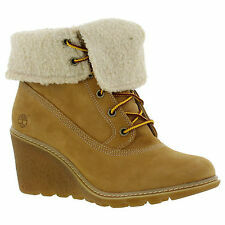 Timberland Ladies Suede Boots size uk 6.5. Condition is New with defects. Dispatched with Royal Mail 2nd Class. Timberland Courmayeur Valley Chelsea Ankle Boots Size UK5.5/EU38.5. In really good condition and a good staple to have in the wardrobe. Timberland white leather mid calf length boots in excellent condition. Thermal faux fur lined so extra warmth, ideal for outdoor pursuits and skiing. 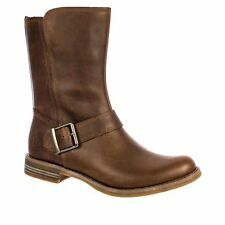 Timberland Nellie Womens Waterproof Pull On Mid Calf Buckle Boots. Band new . Timberland Nellie Womens Waterproof Pull On Mid Calf Buckle Boots. Band new .. Condition is New with box. Dispatched with Royal Mail 2nd Class. Women's Timberland London Square 6in Boot Ankle BOOTS in Burgundy - UK Size 6.